Those who have been introduced to or are well versed in the world of healthy, organic eating are familiar with wheat germ. 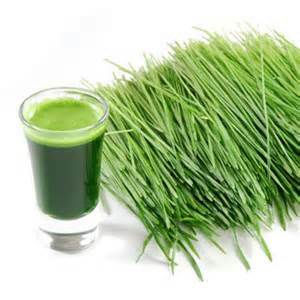 It is similar to wheat grass, which is a green shot filled with antioxidants. It has cleansing and restorative properties that help the gut, digestive system and internal regulation of certain organs. Wheat germ oil, which is derived from the wheat grain kernels, actually has a number of positive effects that may be overlooked and under-appreciated by some. Wheat germ oil is full of necessary and essential vitamins and nutrients. Magnesium, potassium, vitamin B complex and folic acid are some of the components within the oil itself. Along with the antioxidant properties, it is suggested for use on the skin in order to halt the signs of aging. Wheat germ has the same effect on the inside by helping to prevent cardiovascular diseases and cancer. The oil form can be used as part of a regimented skin care routine by providing the necessary amount of moisture that the skin so desperately needs. It will also help to protect the skin from environmental-free radicals that can sometimes cause the effects of aging. Wheat germ oil is also known to boost energy. This is primarily due to the octacosanol that is within its compositional makeup. With this type of saturated, primary alcohol, the ability to generate energy naturally is increased. This has been used as a form of naturally boosting energy in athletes for years. The wheat germ oil provides the energy and the oxygen for them to perform at their optimum level. There are several places in which you can purchase food grade wheat germ oil that can be used specifically for this purpose. This oil can also be used to help regulate your mood. Some people may find that they are irritable, tired or overstressed, while many may just write this off as typical and something that is just a part of life. It can actually be lessened and improved with the right nutritional supplementation and diet. If you find that you're constantly on edge and can't function the way that you need to, this oil can help. It helps to provide ease and calm to your system via the omega 3 fatty acids and the vitamin B complex. Another great component of this oil is its ability to help correct and treat skin problems such as eczema, psoriasis, and dry, cracked skin. This oil can do your skin a tremendous amount of good. This is because when applied topically, much in a similar way as when it's used on the face, it can soothe and repair your skin. The high amount of vitamin E is naturally restorative and healing for the skin. You can purchase wheat germ oil online from several companies at amazon.com.